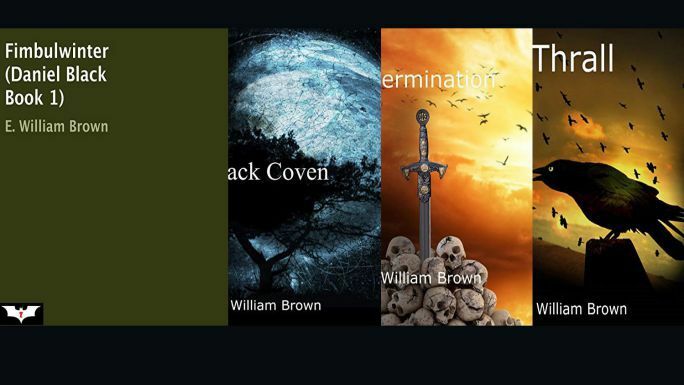 These four books of the Daniel Black series by E. William Brown makes our bond with the world of fantasy stronger as we enter the world that is full of myths and other such stuff. The series begins when Daniel Black finds himself in the land that is full of wicked witches and soldiers that don’t appear to be normal at all when they approach him. Daniel too possesses magical powers of his own and thus can even the odds but that towards the middle of the book doesn’t seem to be ample for his survival. The next book takes us to the dangerous and devastating land of Ragnarok where simple magic of Daniel doesn’t seem to be quite of a use for him but one thing that he is blessed with is time, time in which he could construct something that could help him survive the deadly land and its magic. The third and fourth part also appear to be a battle for survival but this time the war is taken to the Earth and Daniel has to save his family too along with the whole human race of course. The writer has written several other books of the same category that can be read along with this one, like Extermination (Daniel Black, #3) – E. William Brown, and Perilous Waif: Alice Long, Book 1 – E. William Brown. All the books are related to the world of magic and fantasy but the violence is of serious type and thus cannot be considered for the children, the stories are specifically for adults. Guy Williams has played the role of a narrator for all the four parts and has done a tremendous job throughout in the narration department, his voice rises and falls well to the situation and the scenes and makes the thing more interesting for the listeners.